Love this film and am a HUGE Altman fan. I really like the chemistry between Gould and Sutherland. I believe in one of the extras it's mentioned that early on during principal photography, the 2 actors had no idea what Altman was doing and tried to get him fired! Fortunately, that didn't happen and they went on to make a great film... and Gould would team up with Altman several more times. To follow up on your anecdote, rumor has it Gould ended up apologizing to Altman, but Sutherland never did, and hence he and Altman never collaborated again. Wow, another blog that I follow wrote about M*A*S*H this week too. "Birds of a feather..."
I wonder, am I the only person who loves this film but doesn't care much for the television series? Adam, again you fail to put the film in its proper context. 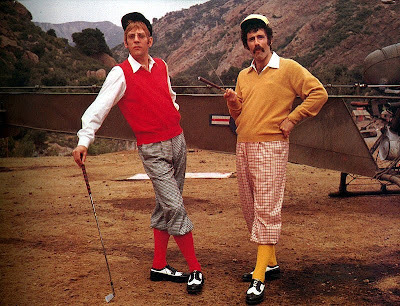 It's not that M*A*S*H is Altman's best film. Many love Nashville, and my own personal preference is The Long Goodbye (Quintet is such an oddball choice from left field that I continue to stick to my theory that you are contrarian who simply likes to provoke commentary by going against the grain, since many would agree that it's one of his most flawed works). 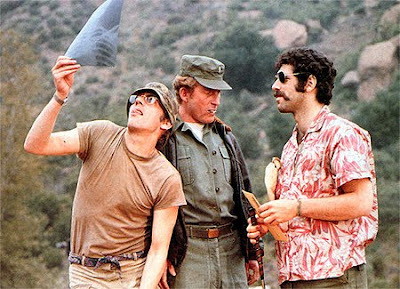 M*A*S*H was simply the FIRST of his films in which the veteran TV director's penchant for overlapping dialogue, improvisational acting, and freestyle use of camera techniques such as the zoom, coalesced to create his now familiar style. The film was a trailblazer simply because it was the first "Altman" film in his filmography.